It's been a rocky few days for Macross fans. Legendary director Noboru Ishiguro, known for his work on the original Macross series, as well as the amazing film, Macross: Do you Remember Love?, passed away at age 73 due to lung complications yesterday. His work will always be remember as a genre defining classic, and something that personally changed my life forever. At the same time Macross celebrates its 30th year, and as part of it, you can expect a whole slew of fun releases. 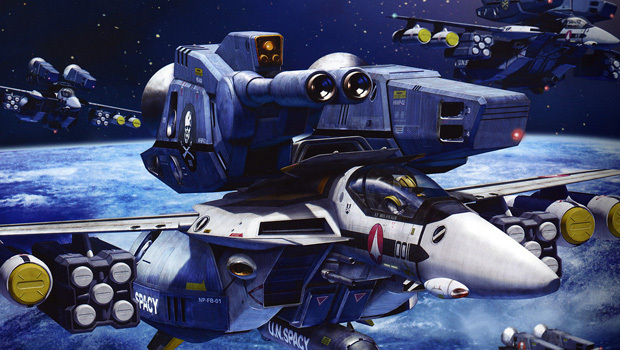 Namco Bandai will be releasing a Hybrid Disc of Macross: Do you Remember Love?, which will include the PS3 game, Macross My Boyfriend is a Pilot 2012. No details of the game have been released yet, but 2012 is the year our main characters did board the Super Dimension Fortress Megaroad in search of space's uncharted frontier. Due to licensing restrictions it is unlikely that we will see the game in the US anytime soon.